Multan (Tuesday- 15th August, 2017): The National saving of Multan Pakistan is here to organize a Rs. 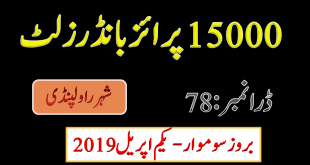 1500 prize bond balloting draw on 15th of August, 2017 at Multan city. This is 71st Draw of Rs. 1500 Prize bond common serial draw. You can download Rs. 1500 Prize bond list Draw #71 complete Result, 15 August, 2017 Multan by bondresult.com today. The savings.gov.pk will announce the complete list of Fifteen Hundred Prize bond draw result at 5:00 pm. 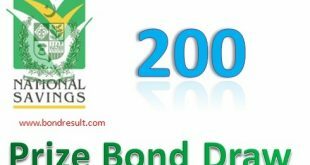 The 1500 Prize bond list August, 2017 will be timely updated at this page. So find tune this page to get your 1500 Prize bond result August, 2017 held Multan Pakistan online. 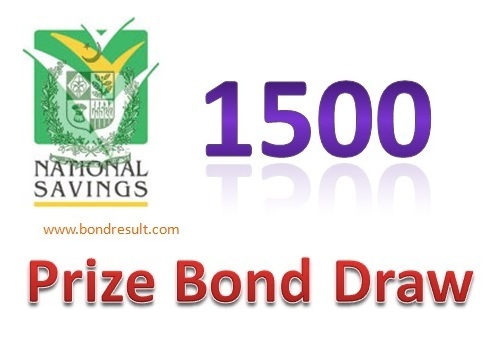 The Prize bond 1500 is the short price prize bond for the Pakistan nation. Every one with average monthly income can afford some piece of this denomination. The prize bond have good worth for all kind for Pakistan peoples so they buy and chill if have some prize bond winning numbers. The first prize of this august balloting draw will be Thirty Lac Rupee but this is only single prize for some lucky person. This prize is one that inspires people to buy these worthy papers. The second prize have amount of 10 lac that is for three winner numbers. These have 300 times more chance to win against the first prize. Prize Bond List 1500 have good wealth increasing formula in low price. The investment of only fifteen Hundred Rupee can make you rich in days. So the chance may be avail in this week. This prize amount is enough for any medium, businessman to have good value in his businesses and and for normal shopkeepers in Pakistan. The third prize of 18500 is also good for salary persons for Darja Chaharam grade employees. This can increase the monthly budget for them so they are fully inspired form this denominations. The Rs. 1500 prize bond list August 2017 will have good prizes at all. So you should also buy these to win from life dangers. The bond results offers 1500 prize bond list 2017 online check for our visitors. So keep visiting us for latest prize bond updates.